Costa Rica is quickly becoming a top destination for student travel, and for good reason! 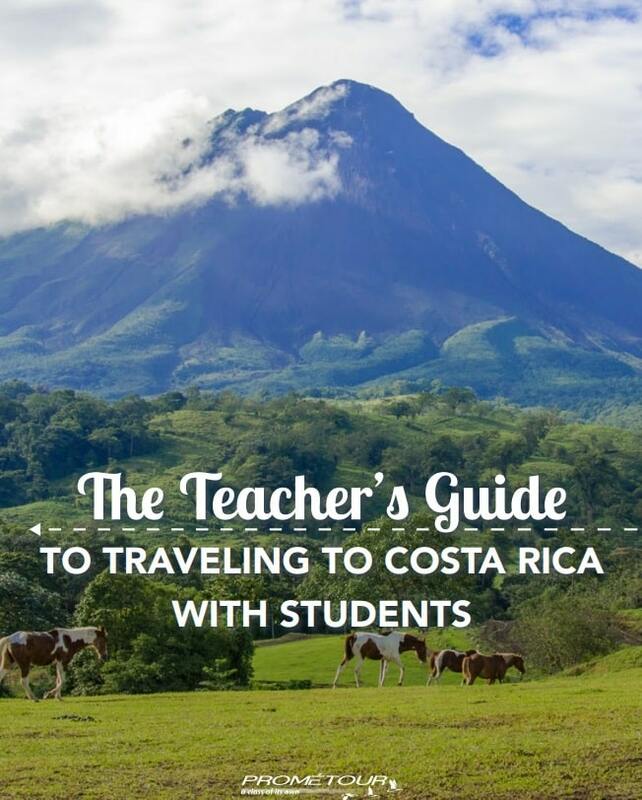 While many travel to this Central American country to engage in Spanish language and cultural immersion, we’re here to talk about why Costa Rica is an absolute must-visit country for STEM students and teachers. This tiny nation is a natural paradise, with over 23.4% of the country’s land area consisting of national parks and protected areas-the highest percentage in the world! As a country renowned for its progressive environmental policies, Costa Rica abounds in activities for ecology, biology and environmental students. To help you narrow down your choices we’ve compiled a list of some of our personal favorite STEM activities. will delight in a trip to Tortuguero, a small village whose name can be translated to Land of Turtles. 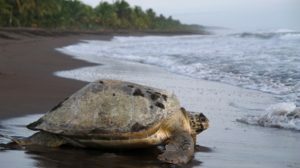 Visitors to Tortuguero National Park can marvel at the park’s 22-mile expanse of Caribbean beach which is a favorite nesting ground for sea turtles. While in the area stop by the Sea Turtle Conservancy to learn more about the habits of these majestic creatures. For those who prefer a more hands-on approach, why not volunteer with the turtles directly, working to patrol the beach and monitor nests to ensure that the hatchlings arrive safely to the sea. Learn about grassroots forestry, environmental conservation and the rich variety of native trees all while giving back to the Costa Rican community. Throughout the nation visitors are welcomed at local farms to help plant trees on the property-a rewarding and educational experience for all. Know for being the first gourmet coffee roaster in Costa Rica, Café Britt offers visitors a colorful, multimedia journey through their working plantation and roastery. 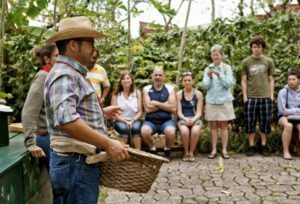 Here students can learn about sustainable growing practices and witness firsthand coffee’s importance on Costa Rica’s social and economic development. Did you know that bats represent 50% of Costa Rican mammals? Take a nocturnal guided bat tour at the Tirimbina Rainforest Center and get up close and personal with these curious creatures. A trained guide provides visitors with a safe opportunity to touch, feed and release safely captured bats. It is important to note that the bats are handled and cared for by professionals for whom the bat’s well-being is top priority. 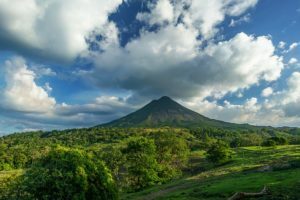 Future volcanologists, biologists and engineers alike will all marvel at the sites to be seen at Arenal Volcano National Park. In addition to housing the country’s most active volcano, the park abounds with great natural diversity (including thermal hot springs) and countless plant and animal species. The park is also bordered by the country’s largest hydroelectric project, the Arenal Lake Dam. Learn what it’s like to be a tropical field ecologist for a day, working with local community members on various conservation monitoring projects. Participants will learn data collection methods for monitoring birds, trees and plantations followed by hands-on field work. 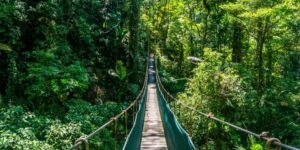 Embrace your inner civil engineer as you admire and cross 15 hanging bridges ranging from 5 to 100 meters in length, suspended at varying heights throughout 250 hectares of natural rainforest. The tour consists of 3 miles of trails through a private reserve where the main objective is the protection and observation of nature. 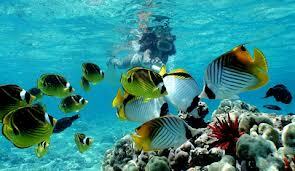 Loose yourself in this magical underwater paradise as you snorkel in Costa Rica’s most important coral reef. Here visitors can admire over 35 different species of coral, 123 species of tropical fish, 3 species of sharks along with sea turtles, lobsters and much more! The ideal activity for marine biologists, ecologists and tourists alike! 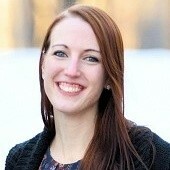 Need help planning your STEM student trip to Costa Rica? Download our guide below!